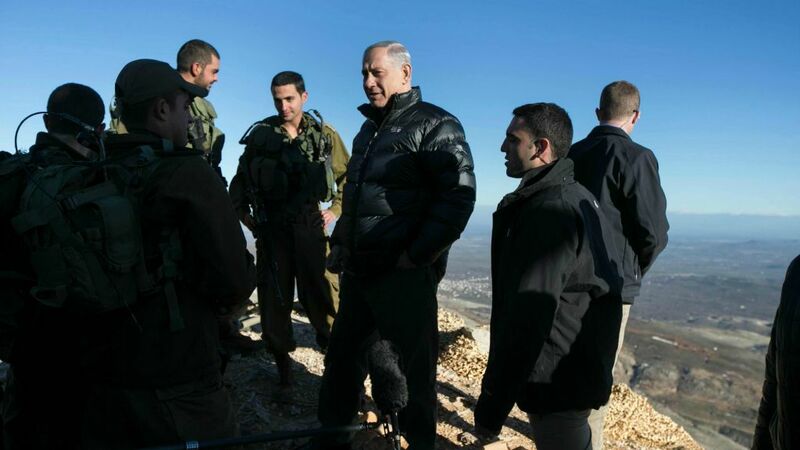 The Party of God – Hezbollah – is stretched thin, pulled in different directions by the axles of its ideology, raising a host of questions for Israel as tensions flare along the northern border. On Sunday night, after two airstrikes in Syria that were attributed to Israel, forces on the Syrian Golan Heights, apparently operating under the auspices of Hezbollah, attempted to lay a mine along the border fence targeting IDF personnel. The squad was picked up by Israeli surveillance and killed by an IAF aircraft. The questions that linger in the wake of that strike and counter-strike relate to the clandestine war waged in the shadow of the Syrian civil war: To what extent do the covert actions risk a full-scale war? Is such a development at this time in Israel’s favor? And what, precisely, are the restraining factors? Working from the outside in, the Iranian angle looms largest. The Iranian-Shiite affiliation, which has risen to the fore amid the Syrian civil war, drew Hezbollah into combat in Sunni Syria, forced it to bury hundreds of its men, and tarnished the Lebanese part of its identity. But it also restrained it in its response to alleged Israeli action, several former military officers said. 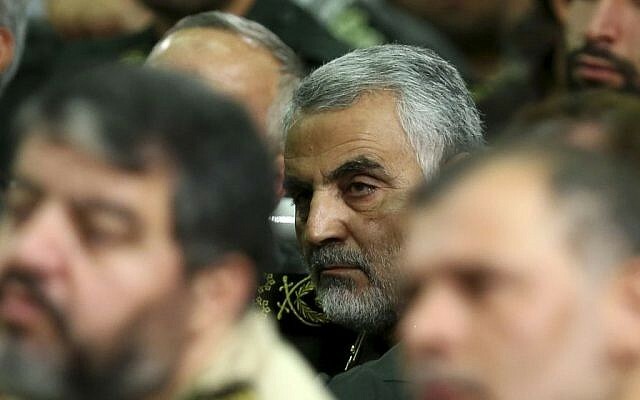 In January, after an Iranian general and several senior Hezbollah operatives were killed, reportedly by Israel, in the Syrian Golan, the commander of Iran’s Quds Force, Qassem Soleimani, flew to Beirut. Many assumed he was there to ensure that Hezbollah’s response to the allegedly Israeli action would be sufficiently sharp. Brig. 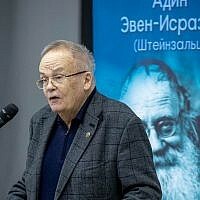 Gen. (res) Shimon Shapira, a former military secretary to Prime Minister Benjamin Netanyahu and a senior research associate at the Jerusalem Center for Public Affairs, asserted that the opposite was true. He asserted that the entire notion of deterrence vis-à-vis Hezbollah, in fact, “is an illusion” and that the sole reason for restraint is Iran, which wants to ensure that its investment in Hezbollah – in cash and in arms – is saved for its true designation, as a deterrent against an Israeli attack on Iran’s nuclear facilities. Former national security adviser Maj. Gen. Yaakov Amidror, today a fellow at Bar Ilan University’s BESA Center for Strategic Studies, assented. He said that from the Iranian perspective, if Hezbollah triggers a war with Israel and is forced to pull its fighting rank out of Syria, “there is no way to save [Syrian President] Bashar [Assad],” because Iran, which has sent cadres of advisers to Syria, is not about to send the necessary number of troops. Additionally, of course, there is the overarching goal of serving as the primary deterrent against an Israeli attack on the nuclear facilities, he said, but added that too firm a grip on the reins, curtailing Hezbollah’s ability to act, could render it “a paper tiger,” which Iran can ill afford. 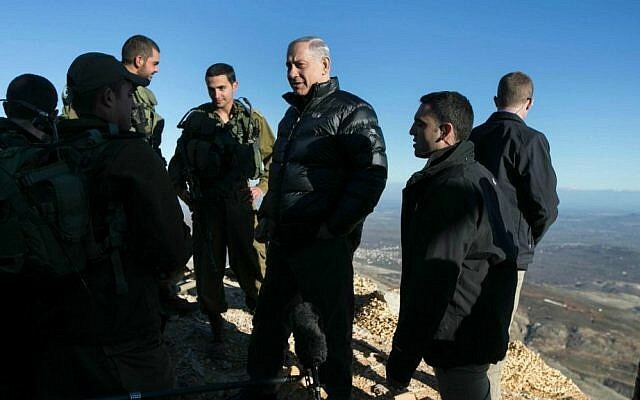 Militarily, Amidror said, “there are tremendous advantages” to Israel launching a preemptive war. Citing the 1956 campaign in the Sinai – in which Israel seized control of the heavily fortified desert within a week – and the 1982 Lebanon War – in which four divisions tore through Lebanon and reached the outskirts of Beirut within a similar time frame – he said that he is aware “of at least one person” within Israel’s security establishment who is eager for Hezbollah to overstep its bounds in response to the allegedly Israeli airstrikes. Israel, in such an instance, he said, could capitalize on that, as it did in June 1982 after the London assassination attempt on Israeli ambassador Shlomo Argov, and strike Hezbollah while it is stretched thin. Diplomatically, though, he said, the price Israel would pay, in the face of a preemptive war that left Lebanon in tatters, would be painful indeed.